Background: When one has reached a certain level of spiritual advancement, it is quite common to incarnate into a body that is encased in compacted toxic cellular memory. Usually, the individual has chosen this difficult path to force themselves to accelerate their spiritual growth and to advance in awareness. This toxic residue of cellular memory manifests in the present as chronic, complex, and often cruel physical, mental, and emotional problems. There is so much "toxic waste" that energetically the person looks like they are covered from head to toe in a large, thick black coat. When the individual's problems are this severe, they will inevitably contract some "life challenging" illness, like AIDS, Cancer, Fibromyalgia, and so on. Often this coat covers over past life chains and must be removed the individual before they can even begin past life healing. Goal:	The goal is to assist the healing of those with compacted toxic residue from cellular memory. This residue - afterwards referred to as the "Coat of Shame" - is usually part of a "karmic debt consolidation repayment plan". This is where the individual elects to have their toughest spiritual issues all rolled into this "Coat of Shame" and brought into their energy field when they reincarnate. This exercise will allow you to peel back the layers of this coat one at a time so that the residue can be released slowly. This will allow your body time to harmoniously release the residue and integrate the changes. If your goal is to "speed up" your healing on your own, this exercise will help. 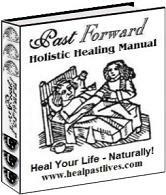 It should be used in addition to (not in place of) whatever other healing programs that you are currently undergoing to enhance your progress. Doing this exercise daily is the key to making it successful for you. 1> Do this exercise at night after you have taken a bath but before you have gone to bed. Once this exercise is complete for the day, drink a full glass of water, and then go straight to sleep. 2> Be patient with yourself for a month or so. "Shedding the Coat of Shame" can be quite disorienting at first. After all, you probably have been living with these problems for centuries or even millennia. Your body has gotten quite used to living with these problems and you have to become used to living without them. This is VERY powerful and takes time for the work you have done on the inner bodies to be reflected in your outer body ("as above, so below"). If you are doing this process to effect a change, then you should be prepared for one. You know the saying: "Be careful what you wish for, you might get it!" 3> Being comfortable is the key. You must lie down and be ready to go to sleep immediately upon completion of this exercise. This will enable your body to begin releasing "toxic junk" right away. 4> If at all possible, try to do this work at the same time every day. If you feel that you are becoming worn out from doing this exercise, take a few days off (5 days at most, unless you are guided to do otherwise). 1> Take some deep, refreshing breaths until you are totally comfortable and relaxed as you are lying in your bed. Invite your guides, your angels, and your Higher Self to watch over you as you do this exercise. 2> Close your eyes and "look" at your inner body on the screen of your mind. You should see it encased in toxic residue. Envision this residue as a "Coat of Shame" so that you can see it more clearly. Usually spirit will guide you the outer layer of the coat you will be removing during the evening's session. This might take a few moments so wait until you "know" what you need to do. 3> Imagine that you are getting into a boat and rowing to an island for shedding hazardous materials. Once you get there, you tie up the boat and walk to the universal cleansing pit. There you remove the layer of the coat that you will be releasing for the evening. If you are having difficulty in removing the coat, ask the "hazmat" angels that are standing by to assist you in removing the cloak. 4> Once the layer of coat is off of you, throw it into the universal cleansing pit. This pit is powerfully fueled by the universal life stream which is the source of all love and healing. It has the power to burn off the deepest, darkest problems. Watch the coat being dissolved by the "healing waters" of the golden, white universal life stream until it is gone. Be sure to "thank it for the lessons" before it goes. 5> Once the layer of coat is gone, declare the following to the universe. "I now release the pattern in my body and my consciousness that created this coat. Please send me the lessons I need to learn from it quickly, easily, and harmoniously so that I can heal and move forward in my life". 6> Sometimes your guides may intervene at this point and tell you that it will take awhile to learn the lessons that are associated with the layer of coat that you just removed. Or they might give you some other helpful advice about how to advance your healing process. Listen closely to whatever they tell you to do. NOTE: Be prepared for this exercise to take time to produce results. Removing the "Coat of Shame" is much like turning a ship in the ocean - it is not going to turn on a dime. If it took you millenia to get this way, then it is going to take time to "undo the damage". It will not get better until you take action... in this life or in the next one! NOTE: Whatever it is - if it seems to make sense to you and you believe that it will benefit you - then "just do it". If you are having any difficulty with the inner advice that you are receiving, then consult the section on "Rules for Discerning Spirit versus Ego-based Guidance". 7> Once the coat is gone and your angels/guides are finished speaking with you, get back in the boat and row to shore. Up until now, this exercise should have taken you no more than five minutes to do. For the remaining twenty five minutes, imagine that you are lying down with your body being bathed in the healing light of God. Feel yourself soaking up God's Divine Love. Imagine this light as any color that represents healing to you. If you have no preference, use a golden white light. NOTE: It is very important that MORE time be devoted to basking in the healing light of God than in dwelling on the toxic residue. For only in the light of God can your deep seated problems be healed and released. While you are basking in this love light, you may experience information on your present day issues. Just go with and remember this... that you have already done the hard part. You are already living through difficult circumstances - so getting more insight on it can never be as bad as living it. If you are afraid, remember that your guides are standing by you, keeping you safe and protected at all times. 8> Bask in this light and focus on absorbing the healing warmth and light of God. You may notice that more of the coat on your body is just being dissolved on it's own. Do not focus on dissolving the coat but let it fall away from you on it's own. Know that if the coat leaves you, it is because it no longer serves you or because you have already learned the lesson. Just let it go with love. 9> Be careful not to be too aggressive in taking off the coat. It took centuries and millennia for you to get this coat. It is likely that you will require months and years to take it off - which, in the universal scheme of things, is lightning fast. Just be patient and keep doing this exercise - SLOWLY. WARNING: You may be tempted to take off the coat too quickly. RESIST it! If you go too fast in removing the "Coat of Shame", I guarantee you will feel horrible in the time to come because your body can only integrate changes so fast. So you have been warned. Example: I only wish that I had taken this conservative approach to my own healing (of course, when pursuing anything I truly want, I am never moderate or conservative). I ripped off "Coat of Shame" all too soon. As a consequence, I was BARELY functional for the better part of four years. I wish I had found some sensible advice like this when I was healing. Although - being as stubborn as I am - I am not certain that I would have paid attention to it. The point is: I hope that you can learn from my mistakes instead of repeating them. I wish you well on your healing journey!